Blocking your finished project infinitely improves its appearance. These nickel-plated steel T pins are rust resistant and 1.5" long. Wet block that lace shawl with a scalloped edge with no worries! 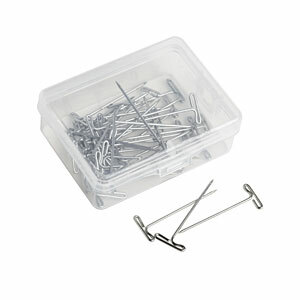 Each plactic reseallable box contains 40 T pins.